Three-car Class 150 diesel multiple unit No.150013 is stabled in the centre road at Worcester having arrived on the 10:23 from Dorridge. This unusual photograph was taken from the carriage window of a Worcester to Bristol train. 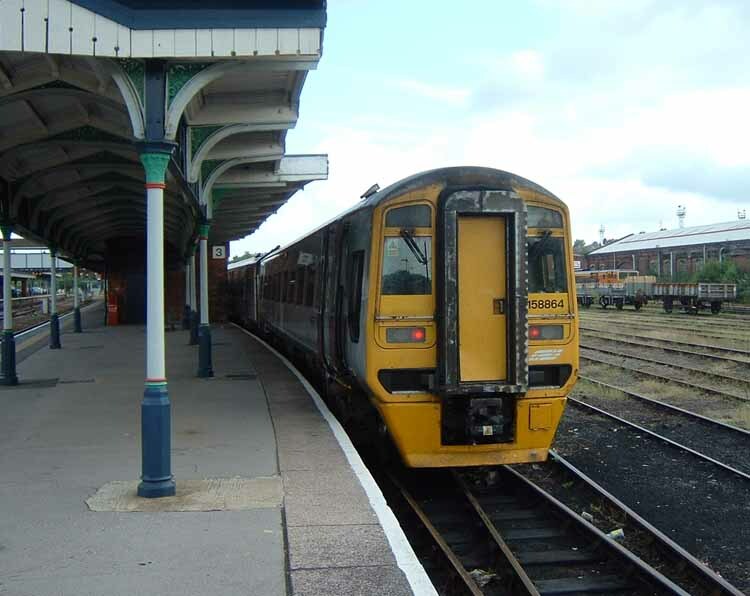 Two-car Class 158 diesel multiple unit No.155864 is standing at platform three on the 10:27 train to Bristol Temple Meads. 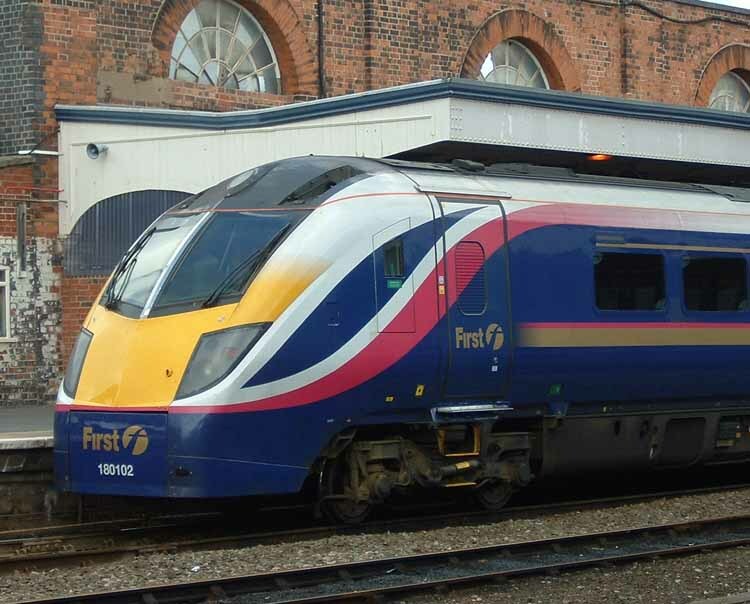 First Great Western five-car Class 180 diesel multiple unit No.180102 is at platform one at Worcester Shrub Hill. 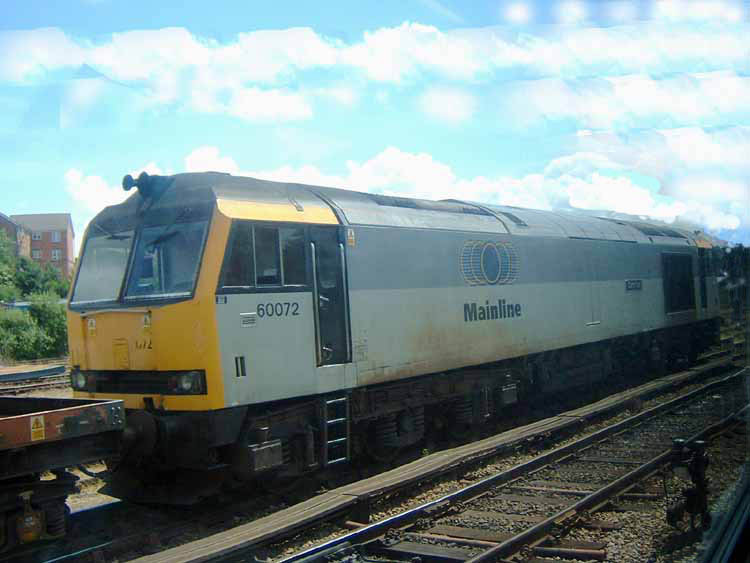 The train is the 11:07 to London Paddington via Cheltenham service.